The aquatic center features a 25 yard lap pool with eight lanes, an indoor leisure pool with a water tube slide, lazy river, playground structure for kids, hot tub and an outdoor leisure pool with diving board. 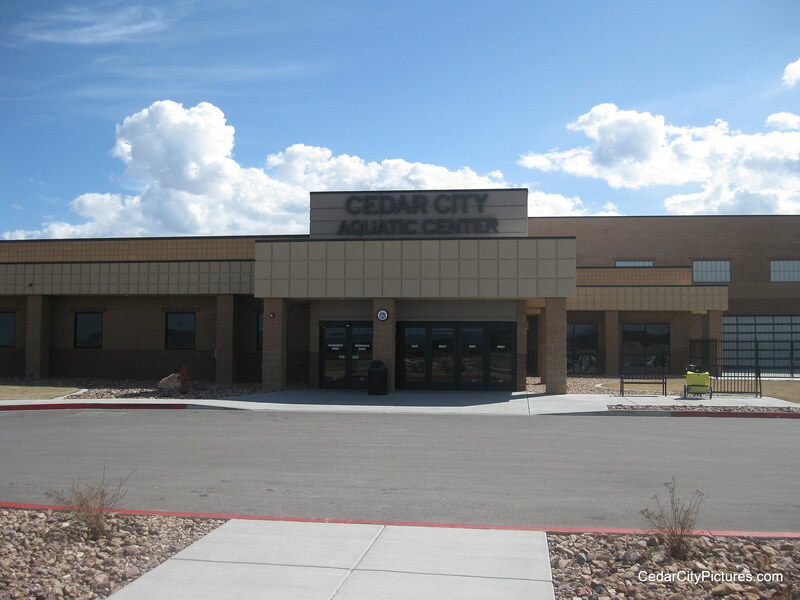 The aquatic center is located across the street from the Iron County School District Offices, Park Discovery and Cedar Middle School. There are also two multipurpose rooms, locker rooms, outdoor pickle ball, basketball courts and a fitness center. Programs offered include swimming lessons, lifeguard classes, tumbling, fitness classes, birthday party packages and more. Families can swim for only $10 on Monday nights between 6:00-9:00 pm. Cedar City Aquatic Center web site.